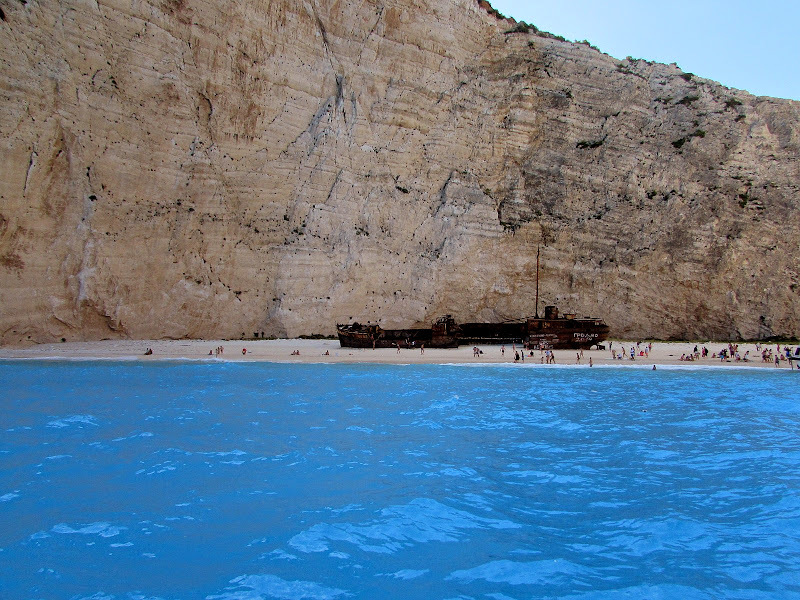 Shipwreck Beach Zakynthos (also called Navaglio Beach) is among the most famous in the Mediterranean and its image from above is shown on all the tourist brochures of Greece. 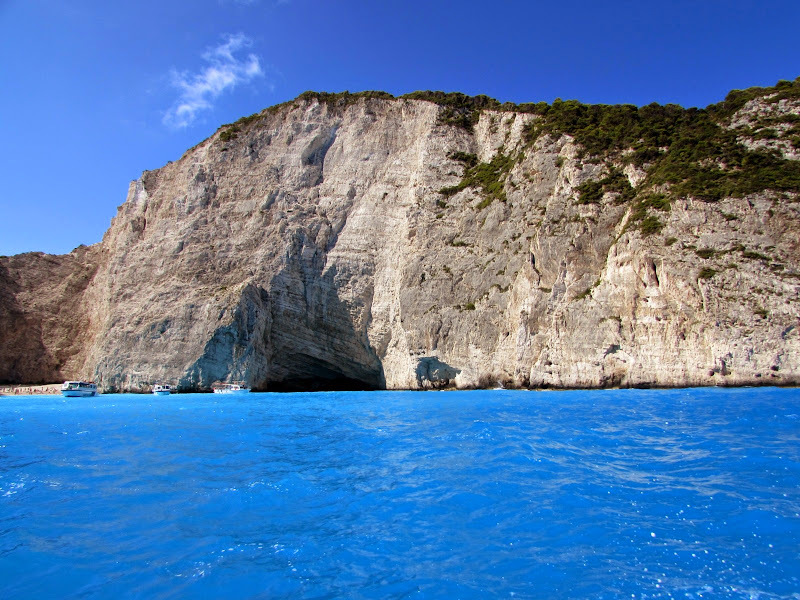 Inaccessible by road, nestled between high white cliffs, lapped by deep blue sea from the astonishing beauty. Unfortunately, his reputation was also his downfall: so beautiful from above, how utterly ruined once you reach your destination because of the disproportionate mass tourism. 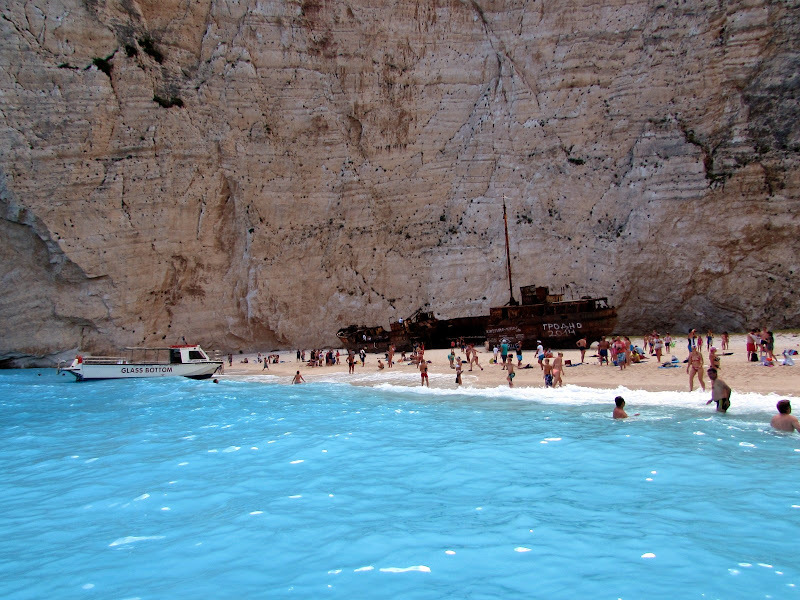 During the summer season the beach is assaulted by an impressive number of boats that unload each up to 200 visitors at a time, with the result that almost can not get wet because the shoreline is entirely occupied by boats, while on the beach there are hundreds of people who do not expect anything but start after taking the classic souvenir photo to the wreck. 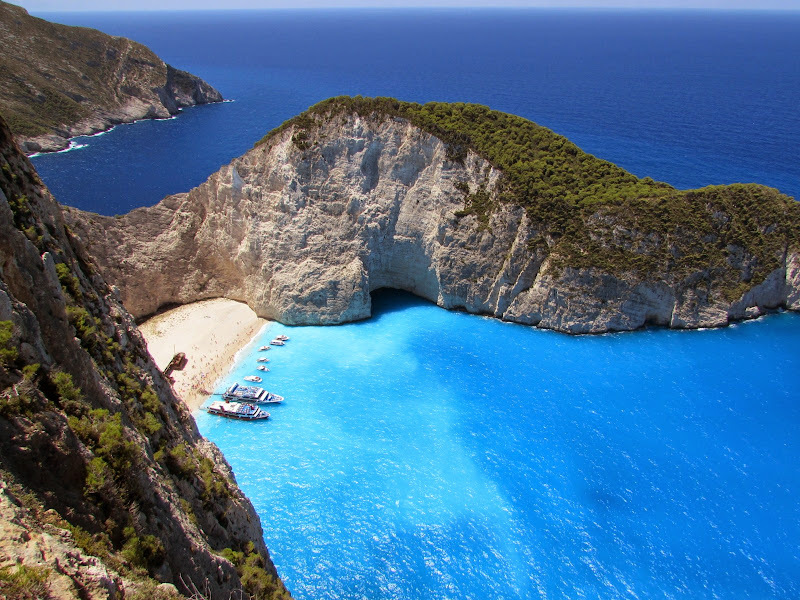 Also add that the beach is located on the side of the island more exposed to winds, sea often choppy and waves crashing on the sand giants of white pebbles, making it difficult for mooring boats and not always possible precisely because of the conditions of sea. Result is that if you arrive with a boat of limited size, on windy days you'll have to swim from the boat to get to Shipwreck, without being able to bring anything. 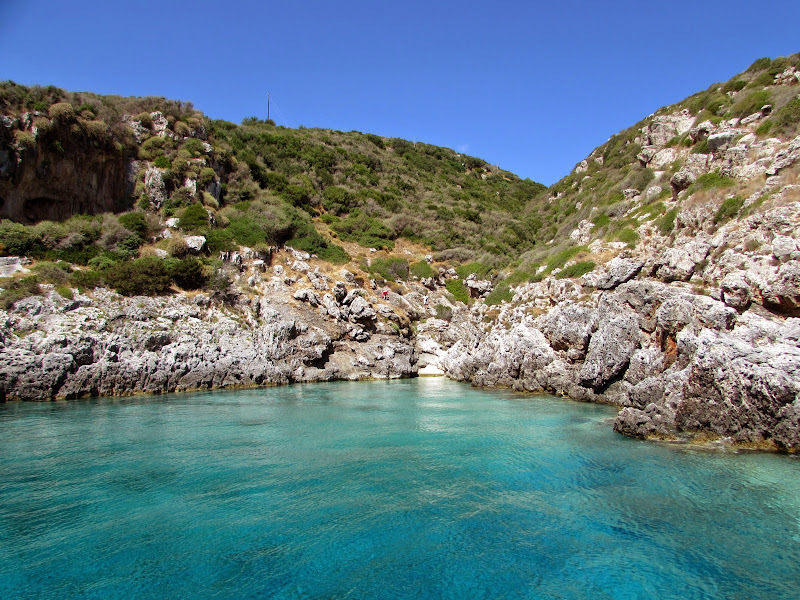 Several times I tried, unsuccessfully, to get to the beach looking for a boat departing at 9am, so you can avoid the crowds, but unfortunately there is nothing to do, both starting from Porto Vromi or Aghios Nicholaos. In both places there are no timetables and the first boat part in the achievement of a minimum number of participants, usually after 10. Meanwhile seen transiting reserved boats to hike by groups; the result is that it will lead to an already crowded beach and after a few minutes, it will be virtually impossible to live with a bustle of boats engaged in landing on the beach, already invaded by hundreds of people. It should also be added that the beach is in the shade until at least 10:15, so it would be useless to arrive early because you lose the typical deep blue color of the water. 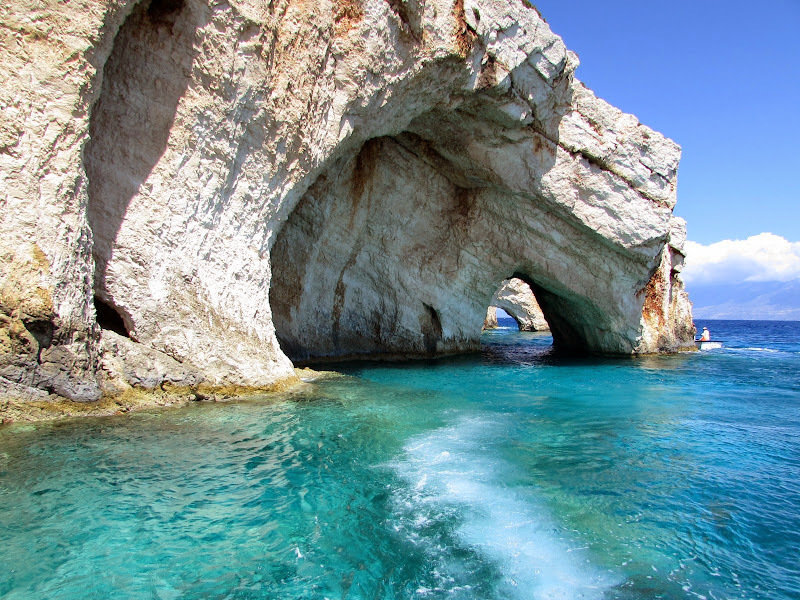 The excursion departing from Aghios Nicholaos lasts 2 ½ hours and costs 15 Euros. 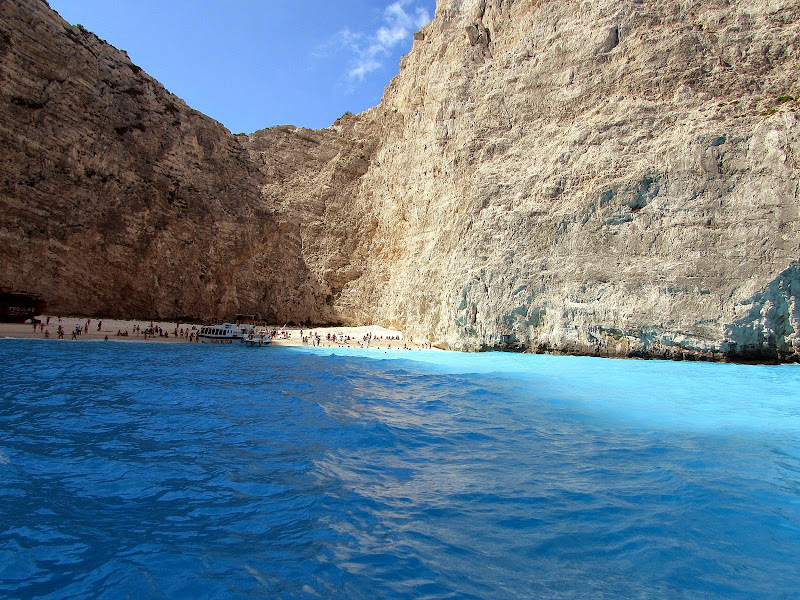 It 'will be a stop of 45 minutes on the beach (I honestly can not wait to start), a short visit to the Blue Caves and a 15-minute stop for a dip in the crystal clear waters of the nearby rocky coves, undoubtedly the most deserving of the entire round. 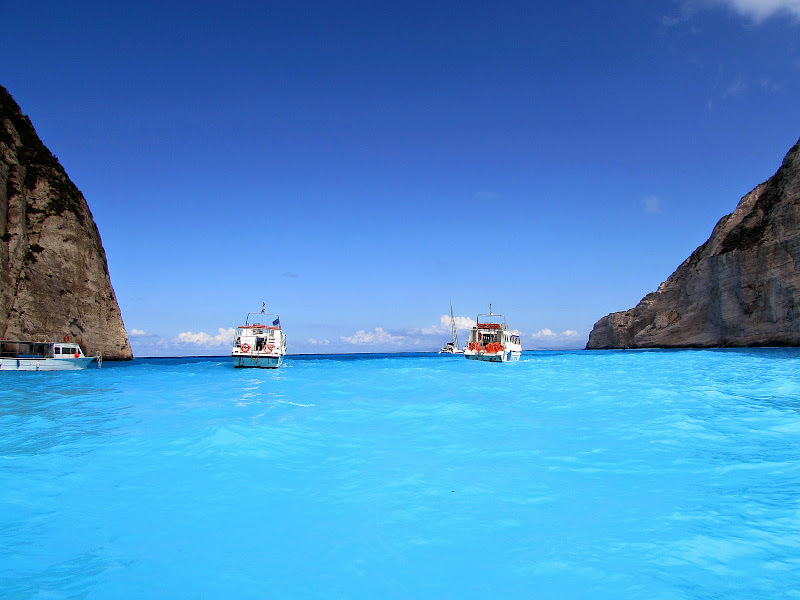 For your accomodation in Zakynthos Island I recommend Hotel Venus, 10-minute walk from beautiful Kalamaki beach, well appreciated by customers and with great value for money. 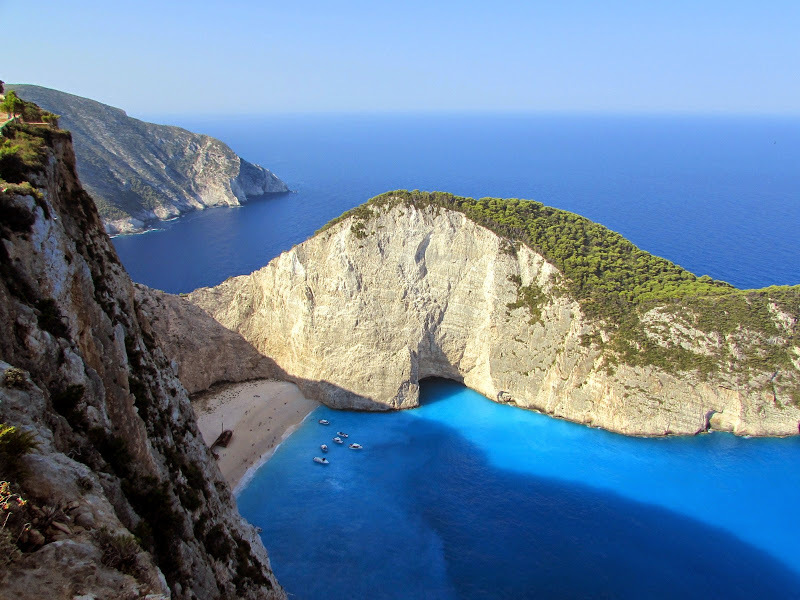 The main point consists of a small iron terrace suspended, taken literally besieged by tourists on an excursion to take the classic photo on Shipwreck Beach. However, the view from here on the wreck is only partial and for a better view you need to proceed along the path that is to the right, until you get to a point, without protection, that offers a spectacular view of the whole beach and.